"And now behold, I ask of you, my brethren of the church, have ye spiritually been born of God? Have ye received his image in your countenances? Have ye experienced this mighty change in your hearts? I say unto you, can you imagine to yourselves that ye hear the voice of the Lord, saying unto you, in that day: Come unto me ye blessed, for behold, your works have been the works of righteousness upon the face of the earth?" In college I picked up a ring that had a question mark on the front and "Alma 5:14" inscribed inside it. To me, it was a cool reminder of this first verse, and a perhaps more-cool companion to my CTR ring. 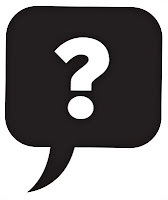 Ever since then, I think, question marks have always made me think of Alma 5--the questions that Alma asks here, and also the one that he asks later, in verse 26: "Can ye feel so now?" These are excellent questions. And we have to answer some of them no at times. We might not be there yet, or we're not there right now. But this reminds us what is possible with the Lord. He can change our hearts, not just our actions. He can redeem us, un-corrupt us, and make us clean. :) We can be *like* him, symbolically receiving his image in our countenances... the same goals, the same love, the same happiness and purpose. Today, let's ask ourselves these questions. Let's imagine hearing God say to us "Come unto me ye blessed." ... Wow, right? Let's be those people that will hear that phrase from God. If we haven't had our hearts changed, let's engage with God, and work it out with him. Let's humble ourselves and recognize that we need it. And if we have experienced it, let's remind ourselves, over and over, that we need to feel so now: today and always.